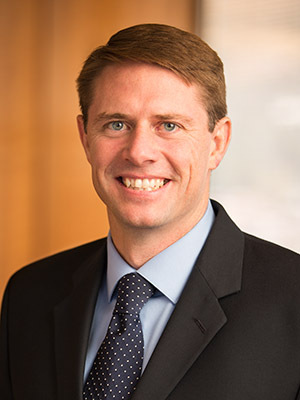 For more than a decade, Matt has been prosecuting and defending commercial litigation matters across the state of Utah and across the United States. His experience includes numerous appeals at both the state and federal level, with Matt being admitted to the Court of Appeals in the Fifth, Seventh, and Tenth Circuits. He has handled a wide variety of general litigation matters, and has particular interest in antitrust and trade regulation law, intellectual property law, and government relations and election law. Mr. Cannon has been included on the list of The Best Lawyers in America in Commercial Litigation and has been recognized as a Rising Star by Mountain States Super Lawyers (2010, 2012-2016) in the categories of Business Litigation, Antitrust Litigation and Intellectual Property Litigation. Mr. Cannon has also been voted by his peers throughout the state as one of Utah’s “Legal Elite,” as published in Utah Business Magazine (2010-2012, 2014, 2016-2019). Mr. Cannon joined Ray Quinney & Nebeker after completing a judicial clerkship with the Honorable Paul G. Cassell at the United States District Court for the District of Utah.